Spending $20 billion per year on renewables would support 7 gigawatts of offshore wind annually. Majors account for a 15 percent share of the global oil and gas market. If those majors want to capture the same market share in renewables, it would require them to collectively invest $200 billion, according to a new report from Wood Mackenzie. So far, no investment from majors in clean energy technologies comes close to their oil and gas investments, which can amount to up to $10 billion annually, depending on the company. Oil and gas projects are much more capital-intensive than renewables. While it's common for majors to spend as much as $1 billion on a single project, the majority of wind and solar investments cost less than $100 million. To reach $20 billion in annual renewables investment, oil and gas majors would have to build 20 gigawatts of solar, 16 gigawatts of onshore wind or 7 gigawatts of offshore wind. If majors bought already-developed projects, they would need to amount to 8 gigawatts of solar, 6.7 gigawatts of onshore wind or 4 gigawatts of offshore wind. To date, the largest clean energy purchase — Global Infrastructure Partners’ acquisition of Equis Energy — amounted to $5 billion. Heggarty said investing in up to 20 or more 1-gigawatt PV projects represents “an absolutely enormous undertaking” for a major new to the market. While building smaller capacity in offshore wind could be more manageable, WoodMac also notes these projects are relatively rare. The top 15 oil and gas companies account for 58 percent of remaining oil and gas reserves. However, the top 15 companies own just 30 percent of developed renewable energy assets. That makes competition much more fierce. WoodMac notes that there are nearly 100 companies with wind and solar portfolios above 1 gigawatt. Major players in the renewable space come from diverse fields: utilities such as NextEra, commercial companies such as Google and Ikea, financial companies like Global Infrastructure Partners, and majors including Equinor and British Petroleum, too. Big oil and gas companies are making moves. ExxonMobil, for instance, might purchase up to 250 megawatts of solar or wind power in Texas. 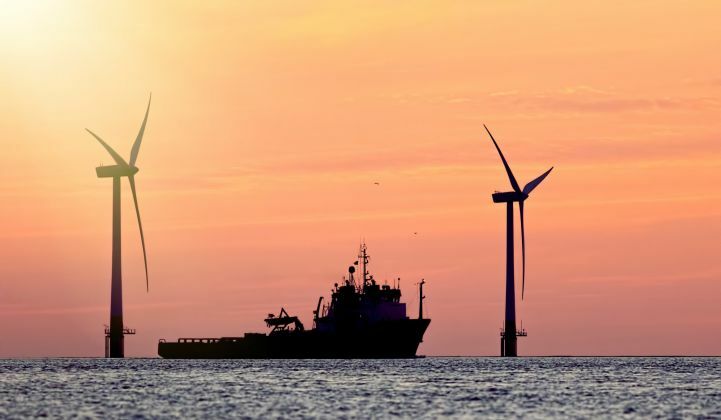 Vitol announced this summer it would invest €200 million (about $234 million) in renewables development across Europe. And Royal Dutch Shell pledged to increase its annual spend on clean energy to $1 billion. But those projects are on a different order of magnitude than what WoodMac suggests. Majors currently own less than 2 percent of global solar and wind projects. That’s changing. Majors are increasingly asking about the challenges and opportunities in renewables. But will they make a big bet on a market they don't totally understand? “They may be forced into it by market evaluation, but you can argue they should focus on what they actually do well,” said Heggarty. “Some of the majors may ultimately decide they aren’t well-placed to succeed in renewables and choose instead to stick to oil and gas,” writes Heggarty in the report. Learn more about Wood Mackenzie Power & Renewables' new report here.